There's no such thing as owning too many makeup wipes. 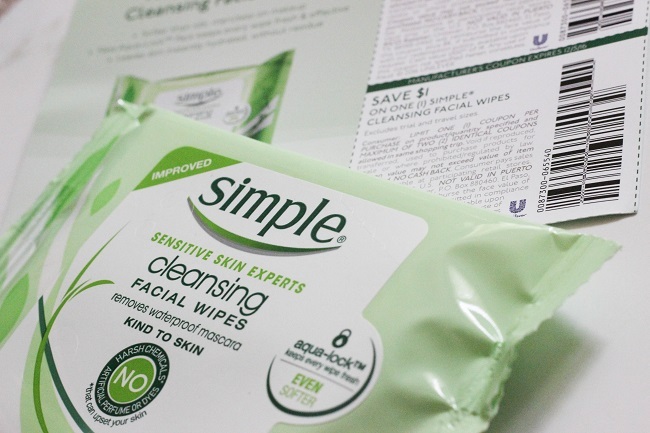 I go through them so quickly and I've never tried anything from the Simple line so this was so useful for me! Plus I love when subscription box services include coupons just in case I fall in love with the product and want to re-purchase. This one felt soft on the skin but it was a bit difficult getting off my eyeliner and mascara. This one was my favorite product! 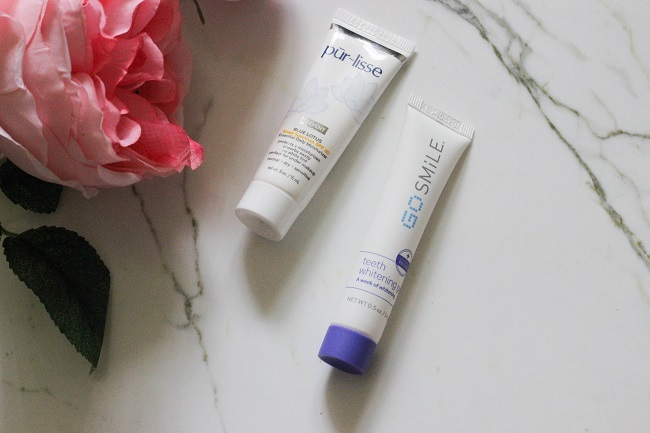 The Go Smile brand is also new to me and I'll admit, I didn't really care about teeth whitening before using this. Now I'm obsessed! All you do is put some regular toothpaste on your toothbrush, then this gel on top (make sure it's the same portion as the toothpaste) and brush your teeth without wetting your brush. At first it felt strange not wetting the brush, but now I've gotten used to it and it lifted all the coffee stains from my teeth in a week! The results are incredible and I'll definitely be re-purchasing the full size bottle. Ehh. This one I wasn't a fan of and it's probably because I already own so many moisturizers anyways and would've liked to see something different. It's great if you want to throw it in your purse and has high SPF so your skin is protected all day. Also it soaks into your skin quickly and doesn't feel greasy. But still, I could take it or leave it. I forgot to take a picture of this product but this is the only makeup product that was included in this box which I was disappointed about because I was expecting more makeup. I've never heard of the Be A Bombshell line but the Smooth Criminal Powder is perfect for patting on top of under eye concealer and making sure it doesn't budge throughout the day. I was surprised to find this in the box since it's actually a full size product! But I've always heard good things about the Happy Hair Turban and how it's supposed to dry your hair quicker while leaving it tangle-free. 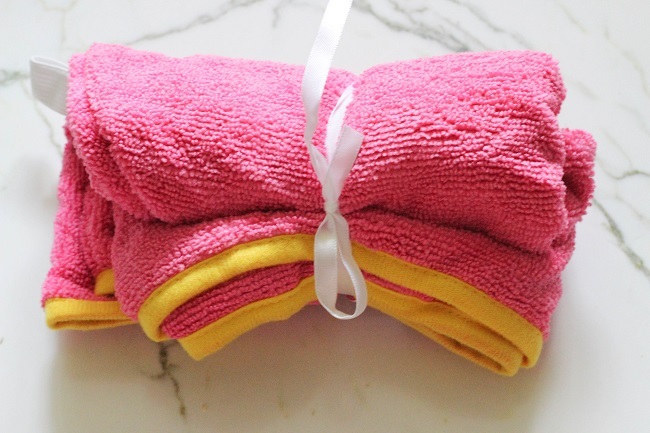 Quite honestly, I didn't notice a difference and while it's cute in theory, I just don't really need it cause I have plenty of towels haha. Overall, I'm disappointed in this subscription box. I just was expecting more especially when it comes to makeup products. While all these products combined are worth more than $12, I still don't think it's worth subscribing to this. I gotta be honest, am I right? But who knows, maybe they will make their next subscription boxes better. It's difficult to make a good review about a service like this when you're only judging it based on one box #Bloggerprobs. I really enjoy BB5 so I hope that you're able to review a few more boxes. 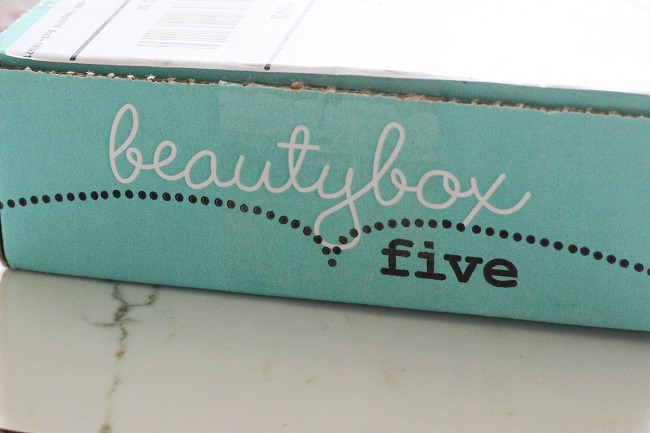 I've gotten some great makeup products from them, but this box did focus more on skincare.